Everyone has a “Top 5.” But Brad and Matt, choose to walk a different path, amended that to “A Fistful…” over at their blog, In the Mouth of Dorkness. A film-centric blog where they also discuss comics and books and TV, these two regularly share their top 5, ranging from “Heroic Kids” to “Spies” to “Summer Movies” to “Punches” to all things in between. Always fun, often insightful, and something I hope to regularly pilfer for Warrior27. As they say: If you’re going to steal, steal from those you know relatively well, who will not sue you. 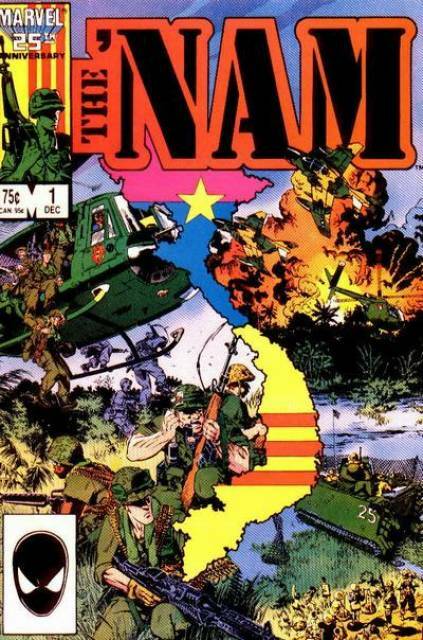 In honor of Veteran’s Day, in no particular order, here are five of the best war comics from my collection. Reprinting the legendary four issues of Blazing Combat, this Fantagraphics collection includes all the stories written by Archie Goodwin, with artwork from Wally Wood, John Severin, Frank Frazetta, Gene Colan, and Alex Toth. 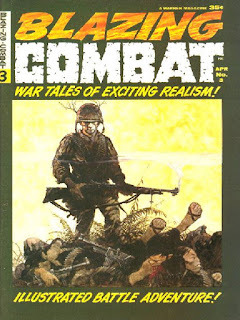 In the vein of EC, published by Warren, these stories from the mid-1960s showed the horrors of war, in a manner not seen in comics, or in much of popular culture. They are rightfully considered some of the best comics ever produced. 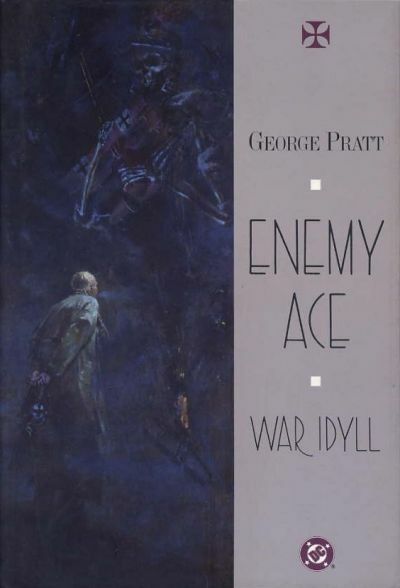 In 1990, George Pratt brought back the classic DC comics character, the Enemy Ace, but as a dying man in 1969. 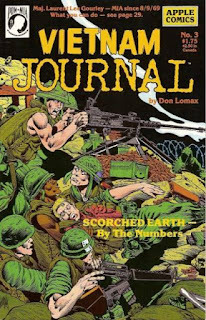 Interviewed by a reporter, who turns out to have been a tunnel rat in Vietnam. In the sharing of their stories, they discover an unexpected connection that will lead to a truth both have been avoiding for a long time. 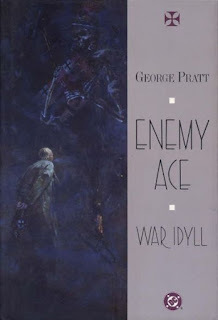 With lush painted artwork from Pratt, this is a beautiful, as well as a touching, story. 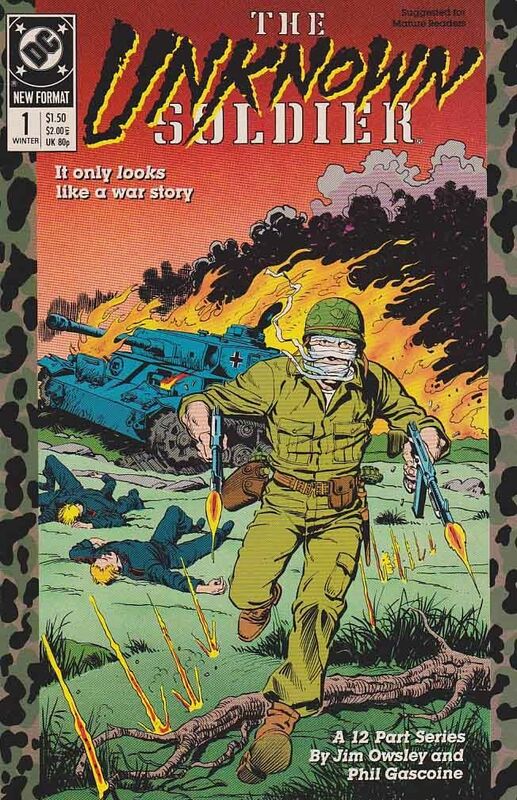 Eschewing previous continuity—while also being ignored by later writers—Owsley and Gascoine’s series tells the story of an actual immortal soldier who is far more cynical than the patriotic character created by Robert Kanigher & Joe Kubert. 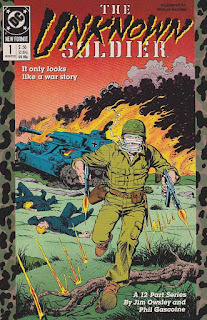 With solid art from Gascoine and a gripping story from Owsley (known today by the name Christopher Priest), this is a classic war comic that rarely gets mentioned. But it should be. 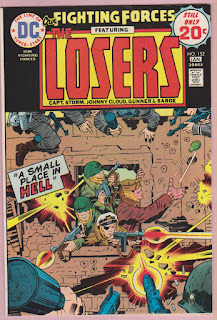 Kirby created, defined, and redefined more comic book characters and genres than any other artist or writer in the field, and his Losers, written & drawn by “the King,” is possibly his best writing effort, including Kamandi and his Fourth World saga. These comics are full-on Kirby, with his dynamic artistry and storytelling on display, but when I first read these, it was the words that jumped out at me. Missing are the stilted dialogue and the overreaching hyperbole found in so much of his work. 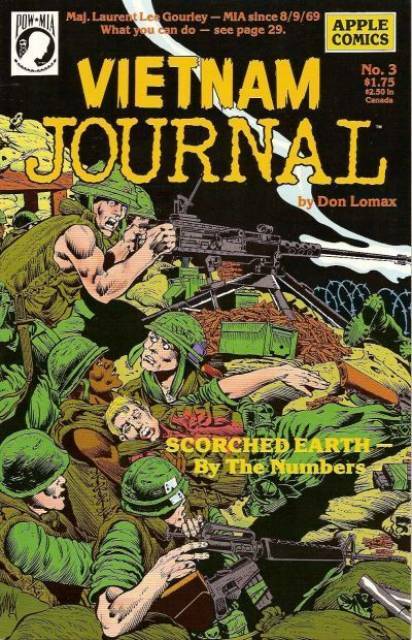 Not to denigrate Kirby’s other writing efforts, which have a charm and excitement, but the reading of these dozen war stories was so smooth and easy that it stood out. 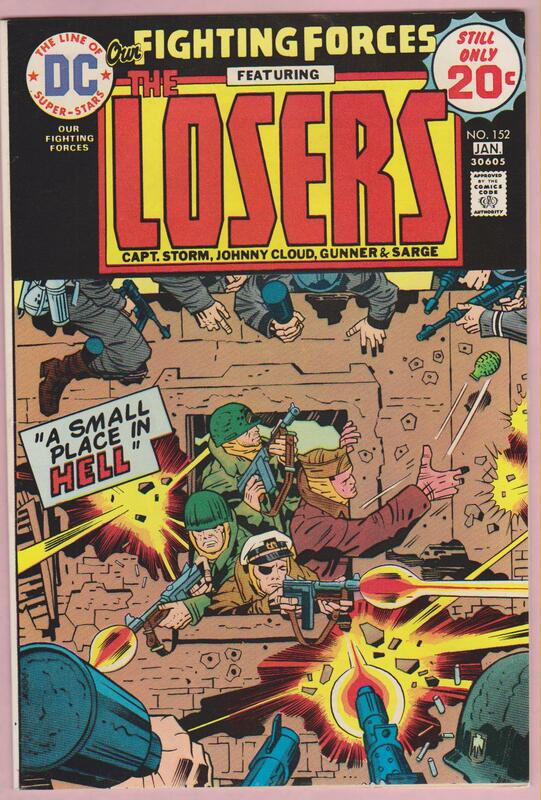 Kirby was a WWII veteran, and he infused this comic with those experiences, and maybe the reality of those coupled with the weightiness of the subject matter inspired Kirby’s writing in these. It’s definitely one of his finest runs on a series. This is one of my all-time favorite comic series. 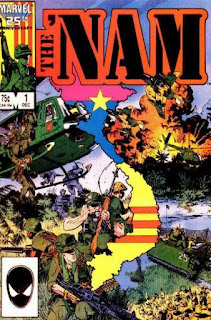 The combination of Lomax’s loose, moody artwork with stories culled form his experiences in Vietnam resulted in something special. Touching, unvarnished, heart wrenching, and mysterious, these comics, especially the first 16 issues, are incredibly gripping. I cannot recommend this series highly enough. Check here for more on this amazing comic.